Is your past hellbent on tampering with your present? Are there humiliating truths eating away at your insides that you’d rather not acknowledge? Do you like to laugh? Are you human? You and this book may be a good fit. In her debut project, “Monsters: Poetry on how to Bite Back,” Jacquelyn Swift presents communal turmoils that most of us face in our adult lives, and debunks them with simple solutions. This book is a step-by-step internal monster hunt that includes great poetry meant to, if nothing else, distract you from your own internal drama for a while. 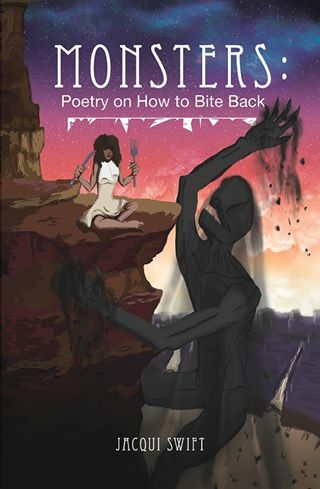 Click Here to Purchase ‘Monsters: Poetry on How to Bite Back’ from Amazon!